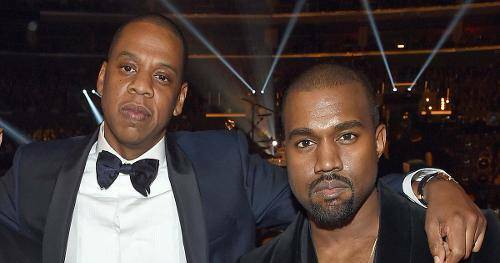 They were more like brothers than friends, Kanye West was like an obedient youger brother who implicitly obeyed whatever the elder brother Jay Z asked for. But they are brothers no more, and could very well sue each other over a bitter payment dispute. Kanye West claims that Jay Z has refused to release a $3 million payment that were righfully his royalty payment for his Tidal only exclusive album The Life of Pablo, released on the Valentines Day of 2016. Jay Z has defended his decision of not paying Kanye, as he was yet to release music videos for most of the songs in his Tidal only exclusive album The Life of Pablo. Jay Z has also threatened to take Kanye West to court and sue him for a seven figure amount, if Kanye breaches his contract with Tidal by signing an exclusive deal with any other online streaming platform. Kanye justified his decison for leaving Tidal,as he blamed the ‘no show’ of his seventh studio album The Life of Pablo on his exclusivity deal with Tidal, claiming his ardent fans were never able to download his songs (from The Life of Pablo) on the iTunes Store or Amazon Music,because of his ‘not so prudent’ exclusive deal with a fledgeling company, Tidal. It has to be noted that Kanye never left Tidal in the first place, but was highly irritated when Jay Z dragged their personal dispute and released it in the form of a song..as a lead single for his 2017 album, 4:44, where he threatened to sue Kanye, if he leaves Tidal. The album 4:44 can be downloaded from Tidal, without any form of subscription, absolutely free.This irritated Kanye West to the core, hence the primary reason for his quitting Tidal.